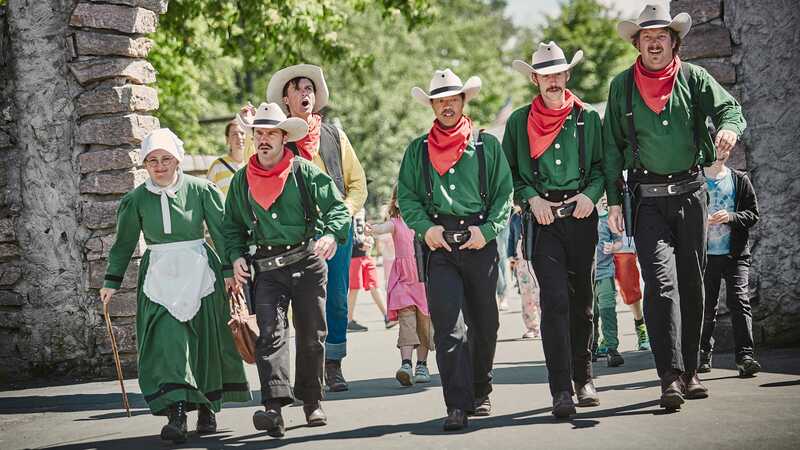 All of a sudden they show up in front of Kate’s Palace on Main Street – Lucky Luke, the dumb Dalton Brothers and sometimes even Ma Dalton herself. They sing, dance, play and brawl. Just like it should be at High Chaparral – fun, unexpected and playful. Here is today’s times for Dalton’s music show. Choose another date below to find the times for other days.